Unified communications solution based on Lync 2013 combines all necessary means of communication: e-mails exchange, audio and video conferences, web conferences. The possibilities that come with Microsoft Lync Server 2013 give us the freedom to choose appropriate means of communication and make communication unlimited. Telephony: offers advanced functionality comparing to ordinary PBX and substitutes it completely. Collaboration: the functionality of the solution allows giving access rights to a desktop, organize meetings as conferences and use the feature of presentations and simultaneous document editing. Instant messages and chat: possibility to exchange instant messages and save time on daily tasks. Audio conferences: it requires only 2 clicks to organize a meeting or an audio conferences with colleagues and partners even on mobile phones. To Deploy MS Lync Server, it is required to purchase Lync licenses. Microsoft does provide 120 day trial version, containing most of the features available in in the licensed product. Below is the list of licenses you need for each service package. ** if you already have Windows Server 2008 R2 or Windows Server 2012, you don’t need to buy it again. For more in-depth information on lync Licensing take a look at Lync Licensing Guide. Go to Lync Licensing and Purchase Solutions and choose your license package and purchase option. If you have any questions, please do not hesitate to contact us. 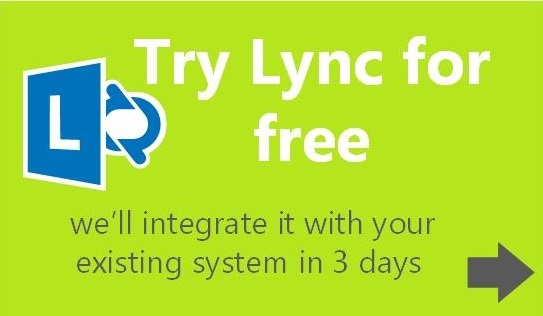 We know everything about Lync and would love to help!